Nashville, TN -- Springer Mountain Farms® is proud to continue their 10 year sponsorship of the Ryman Auditorium’s Bluegrass Nights at the Ryman. Since 2006, Springer Mountain Farms® has presented some of the hottest acts in bluegrass music on the historic Ryman stage. This year’s lineup includes Vince Gill, Del & Dawg (Del McCoury & David Grisman), Greensky Bluegrass, Rhonda Vincent & The Rage with Legends of Bluegrass - Jesse McReynolds, Bobby Osborne, & Mac Wiseman, The SteelDrivers, and Ricky Skaggs & Kentucky Thunder. Nashville, TN -- Designated by the State of Tennessee has the Birthplace of Bluegrass, the Ryman keeps the tradition going with the annual Springer Mountain Farms Bluegrass Nights at the Ryman series. This year the series will feature Vince Gill June 23, Del & Dawg (Del McCoury and David Grisman) June 30, Greensky Bluegrass July 7 and The SteelDrivers July 21. Showcasing the very best in Bluegrass, the series runs Thursdays from June 23 to July 28. Nashville, TN -- Springer Mountain Farms has June and July at the world famous Ryman Auditorium packed with Thursday night bluegrass as they once again present Bluegrass Nights at the Ryman. This annual fare of bluegrass music is just the thing to make summers hotter than ever. This year, the lineup if fully loaded with some of the finest in the genre. June 25 Kicks Off Bluegrass Nights at the Ryman!!! 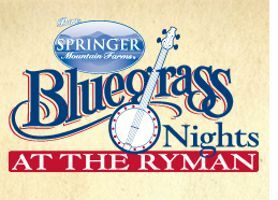 Springer Mountain Farms has June and July at the world famous Ryman Auditorium packed with Thursday night bluegrass as they once again present Bluegrass Nights at the Ryman. This annual fare of bluegrass music is just the thing to make summers hotter than ever. This year, the lineup if fully loaded with some of the finest in the genre. 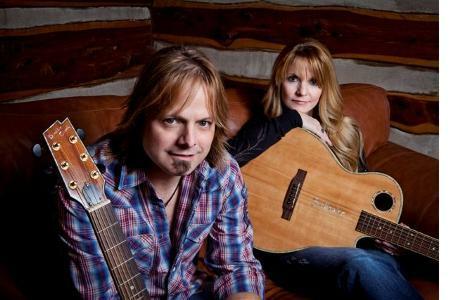 Read more about June 25 Kicks Off Bluegrass Nights at the Ryman!!! Nashville, TN -- To celebrate the annual Bluegrass Nights series, the Ryman has released a special episode of Backstage at the Ryman on their YouTube channel featuring Dailey & Vincent, Ricky Skaggs, Sam Bush, Jim Lauderdale and more! Watch video below. The 2014 Springer Mountain Farms Bluegrass Nights at the Ryman runs Thursday nights from June 26 through July 31. Join us early each week during the season for Pickin' on the Plaza. 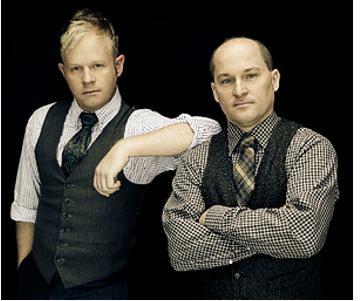 "The Rock Stars of Bluegrass," Dailey & Vincent, in partnership with Springer Mountain Farms and the Ryman Auditorium (http://ryman.com/bluegrass), announce the launch of a special fan-engaging sweepstakes in conjunction with the duo's performance July 17, 2014 during Bluegrass Nights at the famed Ryman Auditorium. The sweepstakes officially launched April 8, 2014 at 3 p.m. CDT and offers an exclusive Nashville experience prize pack to one lucky winner and a guest, compliments of Springer Mountain Farms. Nashville, TN -- Bluegrass superstars Dailey & Vincent recently performed to a sell-out crowd at the historic Ryman Auditorium in Nashville. The show, which was broadcast live nationally on SiriusXM’s Bluegrass Junction channel and on Nashville’s legendary WSM, was presented as part of the Springer Mountain Farms Bluegrass Nights at the Ryman series. The wildly enthusiastic crowd showed their appreciation with six standing ovations for the band, which, in addition to Jamie Dailey and Darrin Vincent, included Jessie Baker, BJ Cherryholmes, Christian Davis, Jeff Parker, Seth Taylor, Bob Mummert, Mark Fain, and appearances by Molly Cherryholmes. When celebrated bluegrass duo Dailey & Vincent take the stage at the historic Ryman Auditorium on July 18, they will chalk up another “first” in a milestone-filled career. The concert will be the very first live broadcast of a “Bluegrass Nights at the Ryman” show, and will air on SiriusXM’s Bluegrass Junction channel. Nashville, TN -- Springer Mountain Farms has June and July at the world famous Ryman Auditorium packed with Thursday night bluegrass as they once again present Bluegrass Nights at the Ryman. This annual fare of bluegrass music is just the thing to make summers hotter than ever. This year, the lineup if fully loaded with some of the finest in the genre. Every Thursday night at 7:30 pm from June 20 through July 25, the best of bluegrass music hits the stage where it all began. Nashville, TN -- The Ryman Auditorium, the Mother Church Of Country Music and the home of the Grand Ole Opry from 1943 to 1974, is sacred to the history of country and bluegrass music. The 2012 series features outstanding bluegrass music by Vince Gill, Chris Thile & Michael Daves, The Boxcars, The Gibson Brothers, Steep Canyon Rangers, The Roys, Rhonda Vincent, Dailey & Vincent, Ricky Skaggs and more. Nashville, TN -- /The Ryman/ Earlier this summer, the famed Ryman Auditorium celebrated Bill Monroe's 100th birthday celebration with their special edition of Bluegrass Nights at the Ryman which featured bluegrass artists Doyle Lawson, Bobby Osborne, Sierra Hull and more. The date was in December 1945 that Bill Monroe and his Blue Grass Boys consisting of Earl Scruggs on Banjo, Lester Flatt on Guitar, Chubby Wise on Fiddle and Howard 'Cedric' Rainwater on bass took to the Ryman stage and the sound of Bluegrass Music was heard. A genre was born.